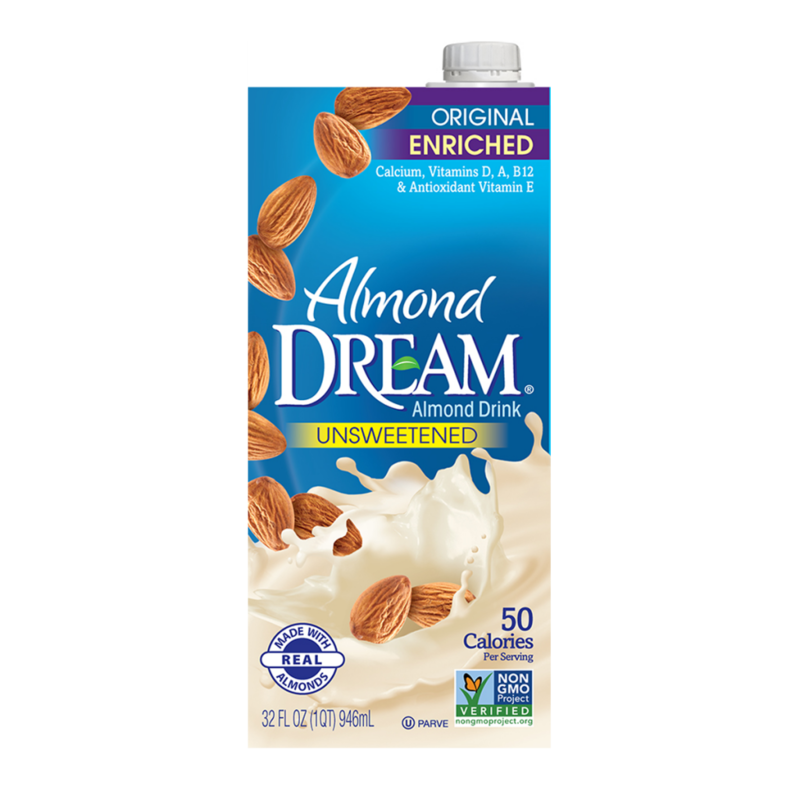 Smooth and creamy Almond DREAM™ Unsweetened Almond Drink features the satisfying flavor of premium raw almonds with no added sugar. It provides the benefits of real almonds and it’s an excellent source of calcium and vitamins A, B12, D and E. Pour it over your cereal, add to your favorite recipe, or enjoy it cold by the glassful. Want to learn more about the benefits of Almond DREAM™ and our other products? 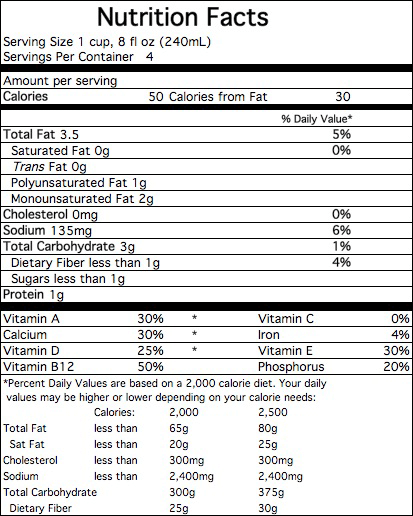 ALMOND BASE (FILTERED WATER, ALMONDS), SUNFLOWER LECITHIN, TAPIOCA STARCH, TRICALCIUM PHOSPHATE, CARRAGEENAN, SEA SALT, GELLAN GUM, NATURAL FLAVORS, VITAMIN A PALMITATE, VITAMIN E (D-ALPHA TOCOPHERYL ACETATE), VITAMIN D2, VITAMIN B12.